How much are you willing to be loved? Every now and then, you hear something that really stops you in your tracks and makes you think. At this years “I Can Do It” conference in Melbourne, Robert Holden gave me one of my most fabulous “Ah-HA!” moments that I have had in quite a while. Robert had been talking about love and how we all want to be loved and the significance of how your belief (if you have one) in the God of your understanding being an all loving and all forgiving force is so comforting. Feeling quite smug, I quickly came up with 100%. Yes, the God of my understanding, call him/her/it what you will, loves me 100%. Absolutely. 100%! Then Robert posed his second question which blew me away. This question hit me right between the eyes, especially as a therapist who works with the tools and concepts of self-love, being deserving and worthy. When I checked in with myself, the percentage of how much I ALLOWED myself to be loved and feel loved did not even make the 50% mark. So I took the question further. How loved do I allowed myself to feel from everyone else in my life? As comfortable as I was at GIVING love, telling people I love them, giving affection and support, there were blocks within me, getting in the way of allowing me to fully RECEIVE their love, that I had no idea that I had, until that point in time and that question from Robert. This was a powerful, transformative moment that set me off to do more work on myself to discover what those blocks were and how to get them out of my way. Feeling loved is all about feeling DESERVING. We are taught to give, but we are not taught to truly receive and ALLOW all of the good feelings and gorgeousness that comes from someone expressing to you that YOU matter to them. That they SEE you and acknowledge you and are grateful for who you are. We do it with strangers when we dismiss a compliment without thought or acknowledgment. We do it with friends when they want to be there to help us or support us when we feel broken and vulnerable but we don’t ask or tell. We do it with our children and the people who really love us because, at some level, we don’t really believe that we deserve it or that they don’t really see how flawed and unloveable we are. 1. Out of 100% how much do I LOVE the people in my life? 2. Then out of 100%, how much do I allow myself to receive their love? If the figures are different, ask yourself why? Do I feel deserving of love and appreciation? Do I feel that I am loveable and worthwhile? Then, challenge yourself to truly allow and feel deserving of the love and support and affection and appreciation you are given. Start asking for help, support and reassurance when you need it. When you get hugs, SINK into the hug and the moment and let it fill you up. Relax and truly feel it. Accept compliments with a simple “thank you” and let the compliment in! Endless giving leaves you feeling empty and depleted, physically, emotionally and mentally. 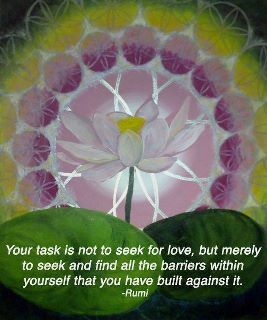 Truly allowing yourself to feel loved and believing you are worthy and deserving fills you up and recharges your soul. Need help feeling loved and deserving? My Signature Heal Your Life Coaching Program will give you all the practical skills and tools you need to really feel worthy and let that love in. I would love you to leave me a comment about any “Ah-Ha” insights you have about how much you deserve to feel loved. This entry was posted in Emotional health and tagged deserving, lovable, Self Love, Worthy by dietfreebody. Bookmark the permalink.